But will the supercharged V6 survive? 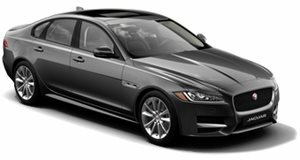 Jaguar recently revealed the facelifted 2020 XE sedan, which features revised styling and an updated interior. The XE's new interior layout borrows heavily from the I-Pace with dual touchscreens for the infotainment and climate controls. 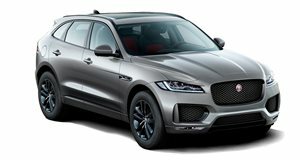 It seems like Jaguar is currently in the process of freshening up its lineup, which had us wondering which model would be next to receive updates. Speaking to Autocar, Jaguar CEO Wayne Darley said the XF is "the next priority. If you look at when those two cars (the XF and F-Pace) went on sale - late 2015 and early 2016 - that gives you a good idea of the timings." The updated XF is expected to arrive in the second half of 2019 with a release date in late fall. After the XF is updated, a facelifted F-Pace should arrive in early 2020. Like the XE, the XF and F-Pace are expected to receive evolved exterior styling and a revised interior. This means you can likely expect the physical audio and climate controls currently found in these cars (pictured above) to be replaced by a touchscreen with two dials for temperature adjustment. The interior changes will also include a new steering wheel, as seen on the 2020 XE (pictured below). Aside from the exterior and interior changes, which have been all-but-confirmed, we still don't know whether the XF and F-Pace will retain their 3.0-liter supercharged V6 engines. Starting in the 2020 model year, the XE will no longer be sold in its V6 S variant and will instead be sold with a 2.0-liter four-cylinder producing up to 296 horsepower. Jaguar Land Rover recently released a new inline-six engine in the Range Rover Sport, which may eventually replace the V6 in the XE, XF, and F-Pace. Darley also confirmed that the V8-powered F-Pace SVR will finally arrive in dealerships in April, one year after the car's reveal due to a parts supply issue. It’s attractive and refined, though it does come with some foibles.